Google Express is offering another promo code for new customers that you can use on pretty much anything! Get 20% off any order (up to $20 savings) with code STOCKUP20 at checkout. New customers can also get $10 off your first order when you go through this link. Make sure to apply the credit under promo codes before you check out (note that the 20% off code and this offer can’t be combined). 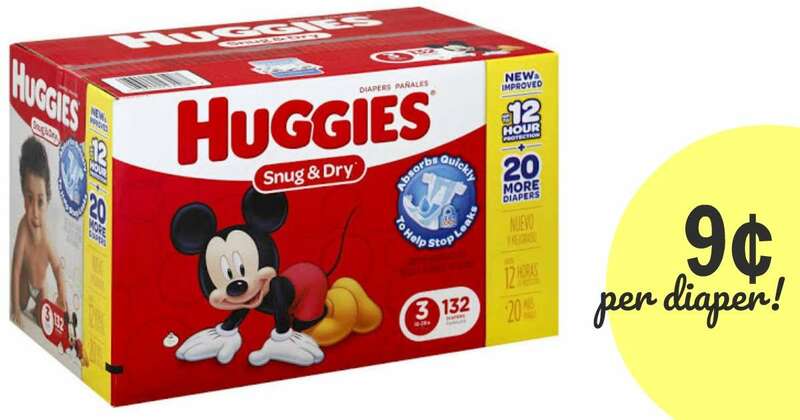 You can get a good deal on diapers from Walmart after you apply the credit. Makes it $12.44 (9¢ per diaper)! Note: With Google Express, try picking stores that have free shipping with any $25 order. This is Walgreens, Bed Bath & Beyond, Pet Smart, and more (it’s not Walmart, Target or Costco, who are free with $35 orders). Also, keep your eyes peeled for things that are on sale! This code is valid through 3/15.